I went into the bathroom yesterday and saw this spider resting on the roll of toilet paper. I’ve seen him/her in the bathroom for a couple of weeks but this was a new place and so it surprised me. I’ve been reading a biography of Emerson and the author said of Emerson’s mother, “She expected her children to be kind ‘to all animals and insects.”* This also surprised me considering that she was born in 1768. I know so many kind people who go out of their way to capture and set free insects of all kinds, and yet are troubled by the thought that they aren’t doing anything to make the world a better place, or that their contribution is minimal. How can we measure the importance of a life? What makes us think that lovingly rescuing a spider or a bee isn’t a high spiritual activity, vitally important to the good of us all? *pp. 21 Emerson, The Mind on Fire by Robert D. Richardson Jr.
Lovely. Either we leave the insect or my husband picks them up so gently, speaks quietly to them and says, “This house is for people, not for insects.” Then he takes them outside. They go and tell their fellows and their tribe becomes very respectful of our space. Miracles!! I try not to harm insects and bugs, removing them outside to greener pastures. I have noticed, my grand children seem to know this naturally. They often say, ” I’m afraid of that bug, but let’s not kill it”. Dear Mary. I love this message! All life is indeed sacred and it is not the size of that life that is measured, but it’s very existence. I find that when I live my own life with this belief, I feel myself supported by a magical, sometimes hidden love that is all encompassing and supportive. When we save the life of even a small insect, I think we are giving honor to not only life itself, but to the importance of our own place in it. Thank you for this most beautiful post this morning. Good morning Mary, I love that Psalm….. I’ve been leaving some snacks out for 40+ years now. It makes me so happy to “help” Nature, glad to hear there are more of us out there! Thank you …. Patti M.
PS Congratulations to Matt on his Emmy….. WOW !!!!!!!! Mary, I’m afraid to even mention how we cope with insects and small creatures in the house here in the country. It seems to eat or be eaten here in the country…mother natures natural chain of events or pecking order. Mice, rats and squirrels can invade homes through the tiniest of holes as winter comes on and the insects…well, living in a wooden house, the yellow jackets swarm in behind wood and make nests so that we have to spray the south side of the house or we’d never get in or out without getting stung. Annie, our year old Aussie ate a bee several weeks ago in the bedroom early one morning and ended up having a steroid shot at the vets. We are in constant interaction with these things and while harmless insects are carefully taken outside, the more aggressive and dangerous ones are dealt with otherwise. Meg, the pup, caught a baby mouse in her X-pen last night and it took a bit of doing trying to pry her mouth open to release it. So, I guess I should not make a comment on this posting today as I’m living close to nature here and it’s a matter of survival, them or us. I will go out of my way to free the occasional outside visitor who wanders into my home and really doesn’t want to be there. But several years ago, a colony of bees housed themselves in my wall, and I would find about 8 to 10 bees a day buzzing around every room in my home. In that case, there was no hesitation on my part. I called a beekeeper to have them removed, and I will admit that if there had been no beekeeper working in my vicinity, the call would have been made to an exterminator. There are some ‘invasions’ that are just not easily solved. Having said that, I am respectful of all little lives and will provide a free and gentle trip back to their home outside, with a little bug-size admonition to please not come back in. A couple of my neighbors and some of my family thought I was nuts. Now I see they are following the same blueprint. Actions DO speak louder than words. Well, bees are one thing not to fool with and we get the residue inside too. If I could afford to, I’d have the whole outside of the house sprayed. It’s a crysanthamum based spray. However, two days ago I sensed that something was in the house because I heard Annie having a riproaring chase around the dining room but couldn’t find anything. Around suppertime, I looked into the livingroom and there on the back of the couch, preening itself, was a little red squirrel. My studio ajoins the living room and it ran in there and fortunately there is a door to the outside off the studio. After much finagling with a long ruler I finally encouraged it out the door. .I’m now cleaning up squirrel poop in my studio but I’ve hit critical mass anyway with my mess. The squirrel did me a favour. You are so dear. Only you could make me feel wonderful and important to the world about saving the life of a very odd looking insect that I brought in on my dry towels off the line last week. And by way of gratitude, I saw him again on my garage door several days later. I think he likes it here. Have a great day, Mary! It is a “flush or be flushed” world, most places. I would have waited as long as I physically could if I had met a spider on the toilet paper…then it would have been Wheel of Fortune for him/her/it!. My biggest dilemma ever was one day when I almost stepped on (was barefoot carrying a laundry basket in front of me, so I didn’t see it) was a tarantula! Yes, flock, a big furry tarantula. How it got in the house I will never know, but it was about four inches in diameter and not going anywhere. I actually managed to get it safely out the door by placing an empty coffee can on top of him/her, and scooting it a few inches at a time, across the tile floor to the front door. I then said a little prayer, and did a scoop/heave motion and it went flying in the air and landed on the ground some feet away. Didn’t seem the least bit phased, though I was a little shaky. To think I could have stepped on it – eesshghghg! – Oh, ‘they say’ (whoever they are) that tarantulas are great for our desert landscape – they eat scorpions. Would I rescue a scorpion? I too Sandy P, may draw the line there! Susan Alcantara morphed into cellosusie again – happens from time to time. those cybergoblins! I can’t tell you how well timed this particular post was and how much I needed to read it right now! I’ve enjoyed so many of your posts (from afar!) these past few weeks but felt I wanted to tell you that this one was really something I needed to hear at this point in time. 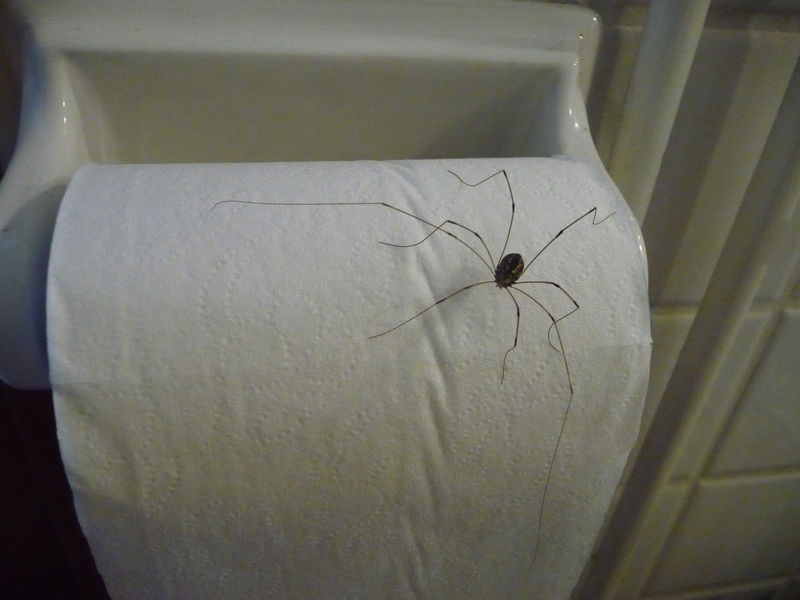 In the interest of correct information the little creature on your TP roll is actually not a spider, its commonly called a Harvestmen. They are in the order of Opilliones and belong to the class of arachnids. Their closest relatives are thought to be mites and scorpions. Wow! All these kindred spirits where this issue is concerned! I love it! Why harm someone,just because they are different and especially if they aren’t hurting you? I’ve done this all my life and yes,I’ve received some strange looks and insulting comments for my behavior. Never stopped me from scooping up Mr. Spider and returning him to The Great Outdoors. I also take mice,gophers and birds away from my cats. They are only doing what they know to do,but they don’t need to kill to eat around here. I do get strange looks and undoubtedly insulting comments from them,too! Thanks for this extra special post, Mary! I have never considered that outlook before. Life is so busy and I find myself feeling and wanting to do more to help and feel like I’m making a difference. Thank you for helping me to see that everyday I make a difference no matter how small. Your way of thinking is so appreciated. Thank you, also, for sharing your mind and heart. 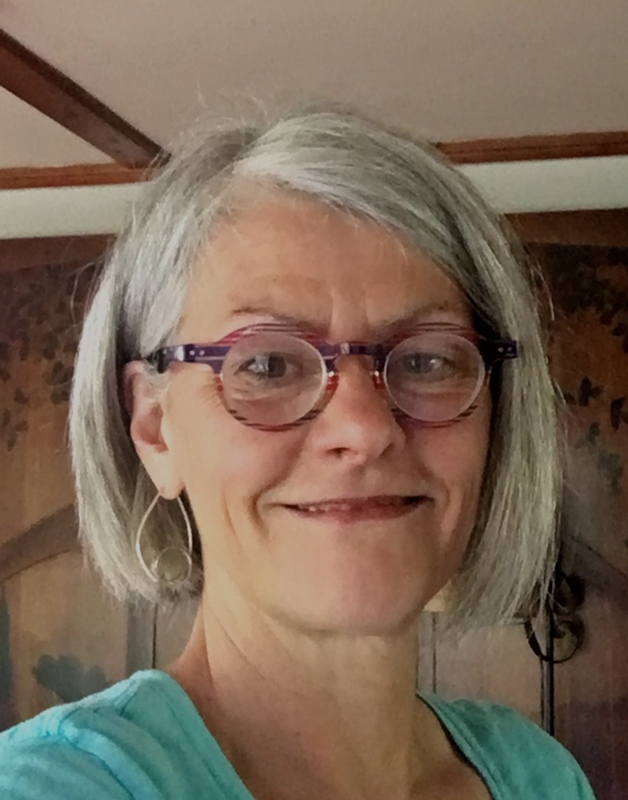 Thanks for this link, Valerie! The Dalai Lama always seems to bring relaxation to those who see him. Loved his take on the mosquito. … and we share a last name! Nice.